We’d love your help. 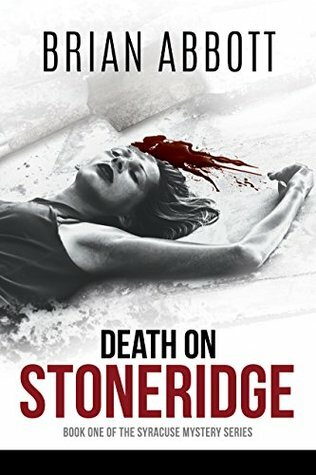 Let us know what’s wrong with this preview of Death on Stoneridge by Brian Abbott. Crime is escalating on quiet, suburban Stoneridge Drive. It began with an apparent suicide, followed by a rash of burglaries. Then, on the night of a Neighborhood Watch meeting, shots ring out. Or have they? Edith Baxter knows what she heard, but after twenty-five years, she’s leaving Stoneridge Drive. She’s gifted her home to her newlywed grandson, who just happens to be a police officer. She convinces him to look into what she heard. At first, Tim Dewitt’s unofficial investigation doesn’t yield much. Possibly a young college student, Lisa Collins, has disappeared. She was overheard arguing with someone. No body has turned up, however. Tim’s left wondering how Lisa could afford a house. But when a neighbor with a grudge against Lisa turns up dead, Tim knows what his grandmother heard was murder. To ask other readers questions about Death on Stoneridge, please sign up.